Pastor Ray was born in Danville, VA in 1944. He grew up in a home that experienced the abuse and sinful conduct that often accompanies alcohol use. However, things changed dramatically after his parents accepted Christ. Pastor Ray witnessed a dynamic change in his Dad and within two years, at the age of 15, he was also saved. He began to grow in his faith and felt led of the Lord to pursue a ministry related career. Based on this calling, he attended Bob Jones University in Greenville, SC, where he received a Bachelor of Arts in 1966, a Master of Arts in 1968, and a Master of Divinity in 1976. In 1985, he earned a Master of Theology from Baptist Bible Theological Seminary in Clarks Summit, PA.
Pastor Ray was licensed for ministry in 1962, by Gospel Fellowship Association, and was ordained in 1970 by the Faith Baptist Church in Easley, SC. He has taught at several Christian colleges and schools; he has held pastoral positions in churches in VA, DE, PA, and MD. In 1976, he became the founding pastor of the Independent Bible Fellowship church in Harrington, DE, a position he held until 1982. While in Harrington, Pastor Ray served as a City Councilman. 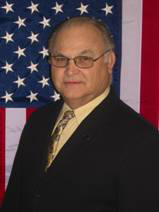 He was appointed Parliamentarian, Chairman of the Budget Committee, and Liaison between city employees and the Council. Pastor Ray became the pastor of Temple Baptist Church in Glen Burnie, MD where he served for 17 years. TBC was a part of the Delmarva Baptist Fellowship. As a member of the DBF, Pastor Ray served terms as Moderator, Secretary, Treasurer, as well as serving on several committees. In 1999, Pastor Ray became a Chaplain with Good News Jail & Prison Ministry, serving part time at the Ordnance Road Correctional Center. He resigned the pastorate in 2001 to become a full time chaplain and was appointed as the chaplain at the Carroll County Detention Center in 2002. 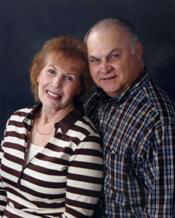 Pastor Ray was married to Janet Lee Britton for 26 years. She went home to be with the Lord in 1994, after a lengthy battle with breast cancer. He has three children: Carey, who is married to Katrina; Carin who is married to Aaron Palczewski, and Christopher, who is married to Kerry. In October 2001, Pastor Ray married his present wife, Ginny. She is a mother of five children: Tommy, Debra, Jamie, Jason, and Stephen. Together, they have 13 grandchildren.We are happy that God has brought the Newmans to us. We are seeking His direction and blessing as we move forward under the leadership of the shepherd He has provided.